Audubon Wilderness Park is home to many native Louisiana birds and a quiet respite for migratory birds as well. Outdoor education programs at Audubon Wilderness Park include Nature Clubs and Home School classes. This park is located in Lower Coast Algiers, on the campus of the Freeport-McMoRan Audubon Species Survival Center. It is a natural and secluded green space with basic amenities housing the NALCO Visitor Center, a loop trail, picnic shelters and restroom facilities. 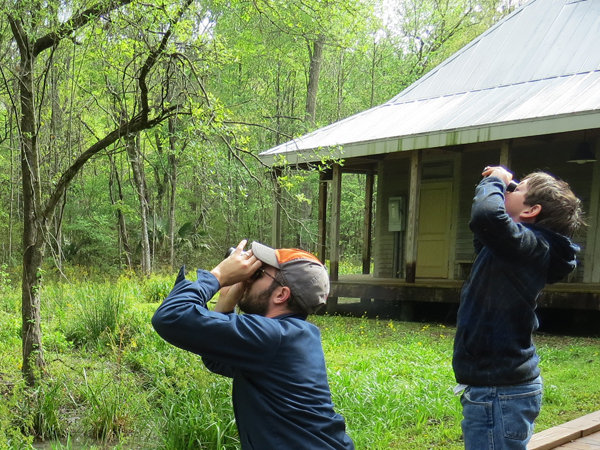 Educational programs at Audubon Wilderness Park include Merit Badge Clinics, Geocaching, Insect Identification, Introduction to Birdwatching and more. Open seasonally for spring (February - June) and fall (September - November). The Wilderness Park is closed on Mardi Gras, Memorial Day, Labor Day and Thanksgiving.